If you’re looking to hide any negative content appearing online about yourself or your business, reverse search engine optimization or reverse SEO is what you need. Through reverse SEO strategies, you push down negative content off the first page of search engine results and try putting positive content at the top of the search results. Let’s suppose that you have a company offering a certain product. Now, there be may be dissatisfied customers who post negative comments about your company/product in their blogs or in online forums which offer a consumer complaint platform. There can also be a disgruntled employee who’s trying to harm your online reputation. Sometimes, your business competitors may even try out means to ruin your company reputation by spreading negative ideas about your product or service. Now, there may be thousands of consumers looking for to purchase such products. But before they purchase it, they may like to research your company on Google, Yahoo or any other search engine. Now, if you have negative comments or reviews posted online, it is likely that the ones researching your company/product may not like to be your customer. 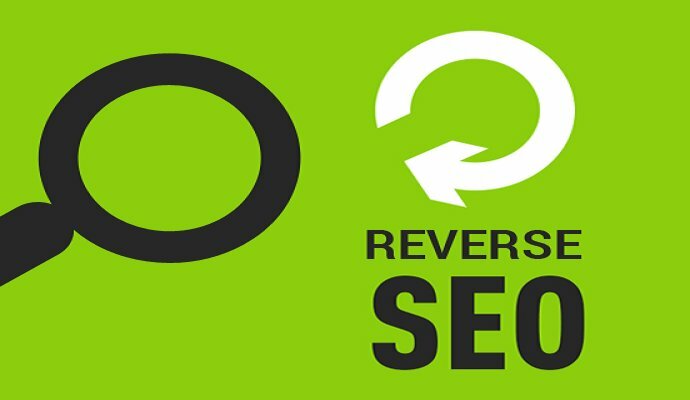 So, in order to protect your online reputation, you need to try out effective means of reverse SEO. Since the first page in search results gains maximum attention, therefore, you can use reverse SEO methods to push down negative comments in the latter pages. Thus, you can prevent a lot of people from viewing negative information about you or your company. Here are a few techniques you can use to protect and manage your online reputation. 1. Start blogging: You can create a blog to speak about yourself and your company. You can share your personal thoughts and ideas. You can speak about your professional life and tell people how your company is trying to help them out or what social measures you’re taking to serve the community as a whole. Try updating the content in your blog at regular intervals, as search engine do prefer fresh content and chances are that your blog can rank higher in the search results page. While you’re blogging, make sure you respond to people commenting in your blogs. You’ll develop a rapport with the audience and it’ll help build your online reputation as well. 2. Participate on Facebook and Twitter: You can create your profile in Facebook and Twitter and share your ideas, thus networking with a wider audience. 3. Post videos online: You can create videos where you speak about yourself, your company and its services. Videos often come up higher in the search engine results. This means a lot of people may get access to your videos. So, this is likely to have a positive impact on your online reputation. 4. Write and submit optimized press releases: You can write press releases highlighting your business and its products, any upcoming event or promotion. Try optimizing the press releases with relevant keywords and submit them in press release submission sites. With proper optimization, it’ll be easier for the target audience to find your press release from the search engine results. This way your ideas will reach a wider audience, thus boosting your online credibility. If you are not interested in website traffic , then you have already missed a lot.